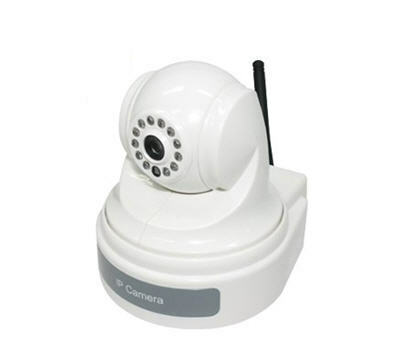 See More Wireless IP Cameras Here This CCD H.264 Compression wireless IP CAMERA is ideal for keeping watch over a remote location using the internet, this wireless IP camera is also 3g mobile phone network enabled. Everything required to start using this camera is included even the IP surveillance s/w to run on your PC. Built-in Web server, supports remote viewing and/or management of the camera from a standard web browser on any internet connected computer, anywhere, and at anytime send E-mail notification when motion is detected.